William Haynes owns Sabai Technology based in Simpsonville, South Carolina. He started selling routers to customers in the U.S. Then he discovered a company that provided VPN service and who had customers overseas that wanted access to the Internet from devices throughout their household. 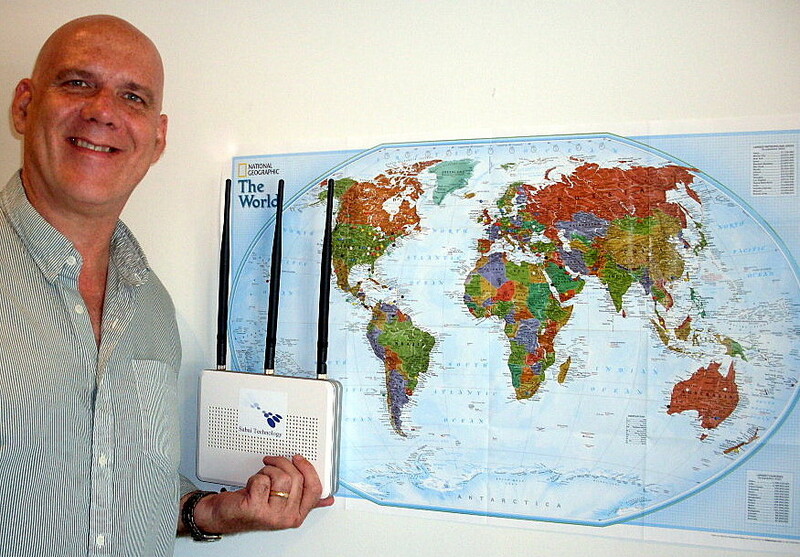 The company, Strong VPN, asked Haynes to make routers for them. The first sale was to China, and orders soon took off to where international sales now account for 80 percent of revenues. To build Haynes’s sales more rapidly, a FedEx sales representative brought in the U.S. Commercial Service, a branch of the Commerce Department that helps U.S. companies find overseas buyers and plays a major role in the Obama administration’s National Export Initiative, which seeks to double U.S. exports by the end of 2014. The typical U.S. manufacturing exporter sells to buyers in fewer than five overseas markets, so already Sabai Technology was atypical. But Haynes knew that in addition to selling and sending one box at a time, he needed to develop distributors in key countries so that his sales volume increased at a more rapid rate. The Commercial Service has Export Assistance Centers in more than 100 U.S. cities and market specialists in U.S. embassies in over 70 countries. FedEx asked the Export Assistance Center in South Carolina to visit Haynes. “It would have been years before I discovered these folks. They came to visit me, to discuss the needs of Sabai Technology,” he said. Looks like Zambia will soon be Sabai Technology’s 81st export market, leaving only 45 more countries remaining to sell to by this self-effacing, self-described “babe in the woods” of exporting. There’s little doubt that he has the determination and now the help to get there.